The American Vega Association is a loosely organized group of owners and enthusiasts of the Per Brohall designed Albin Vega 27 sloop. 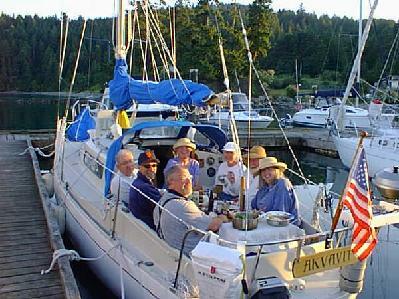 Our purpose is to provide a central resource for information and assistance in the enjoyment and maintenance of these fine sailboats, to keep Vega owners and enthusiasts worldwide informed of events and gatherings of interest, to assist in organizing and promoting Vega fleet Rendezvous and to share information on maintaining, modifying, sailing and living aboard the Vega. There are photo essays of notable Vegas, accounts of voyages and adventures plus announcements and complete coverage of events like the Pacific Northwest VEGAtarian Rendezvous and the International Friendship Regattas and links to sites of interest. WE think the Vega 27 is one of the finest small cruisers ever built but you don't have to take our word for it. Take a look at this independent evaluation. Membership: We're no longer keeping track. Access to the MemberShip pages including the newsletter archive and the Vega Owners Repair and Maintenance Manual, compiled by the members for more than thirty years and continually updated with new material, available in printer-friendly .pdf format is no longer restricted so the information is free for anyone interested. Membership fees have been waived. Expenses are being covered by volutnary contributions. If you wish to support our efforts to maintain this resource, click the button at the bottom of the page. 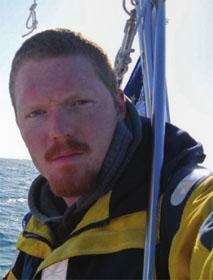 On successfully completing the first solo, non-stop circumnavigation of the Americas in the Albin Vega "St. Brendan's"
Member web sites to check out: Chuck and Laura Rose, Vega 1860, "Lealea", are expanding and moving their Cruising Pages to a new site at http://cruisinglealea.com featuring videos and articles about full time living aboard and "Cruising Lealea". Chuck and Laura have been uploading videos of their cruising and boat repair adventure to YouTube for years and now have a Patreon page as well. New listing in Vegas for Sale "Silentium"